This post is an excerpt from our free online AED course which covers the theory and practical aspects of using an Automated External Defibrillator (AED). Automated External Defibrillators (AEDs) are very safe devices. 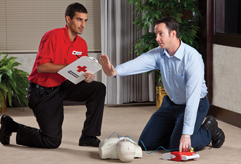 However, there are a number of safety aspects to consider when using an AED. Water and electricity don’t mix! A towel should be provided along with an AED, this is to dry the patient’s chest. Electricity will take the path of least resistance, so if there is water on the chest then the shock will travel through the water instead of the heart muscle. 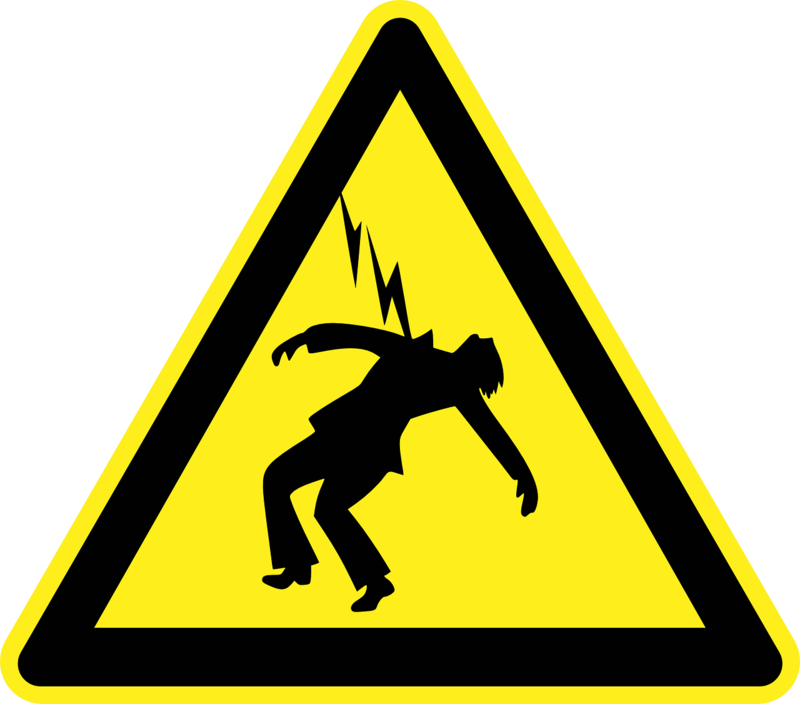 No one should touch the patient during delivery of the electrical shock by an AED. The AED will instruct everyone to stand clear. As the operator you should repeat this command and ensure everyone is clear of the patient. It is important however to deliver the shock as quickly as possible, so do not spend excessive time on this. An AED is delivering an electrical shock. Therefore there is always the risk of a spark. You should not use in AED in an explosive environment where there is a build up of flammable vapors. One example would be a gas/petrol station forecourt. Another consideration is the use of Oxygen by emergency medical staff. If Oxygen is being used, it should be at least 1 metre away from the AED and consideration should be given to the possibility of Oxygen building up in the atmosphere. The chest pads should be applied to bare skin. Excessive chest hair can disrupt the contact of the pads with the skin and result in burns when the electrical shock is applied. A razor is supplied so you can shave excessive chest hair.